How much does ICO project cost? 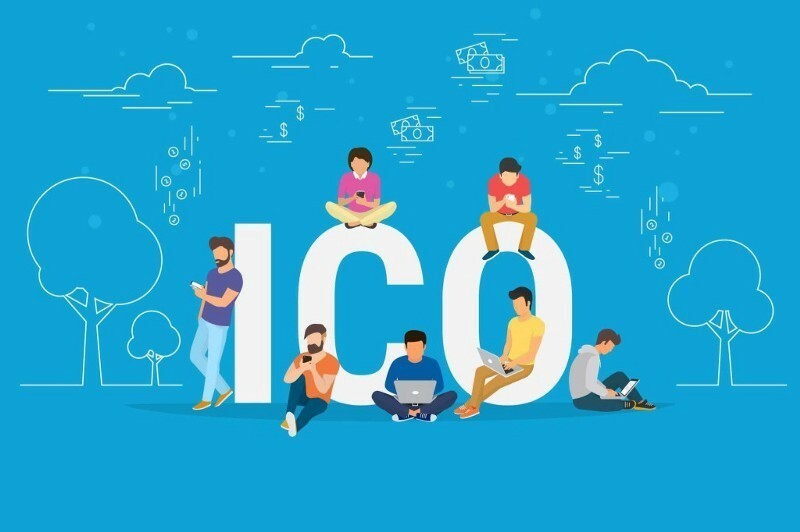 Let’s consider your company seriously reviews ICO market as a main way to fund the project, instead of going through long and tensioned IPO-process or complicated search of traditional venture investors. The ICO conducting cost depends on many factors. In order to have a full and transparent understanding of possible future budget needed for a certain project let’s take a closer look and examine separately each of the items of expenditure of this complex venture. When you have already come up with an idea as well as clear working concept, the next thing in line is to gather a team of specialists. It will be the core, the heart of your project. A lot of professionals in different fields would be required for hiring: from frontend and backend-programmers to community to HR- and PR-managers. You will also need financial and blockchain analytics, smart-contracts developers and more. It is very important for members of your project team to know at least one foreign language, English preferably because ICO projects are aimed to worldwide market, so the communication and understanding of certain professional moments would be easier for the whole team. The salary of each position varies depending on certain factors as the development duration, project complexity and country or origin. In order to reduce the project budget it may be wise to use the hired developers outsourced from other countries which have less high incomes. For example, the highest salaries in European market industry (and in the world pretty much at all) right now is seen in Switzerland, where the top blockchain companies base. The monthly income for Frontend and Backend developers in this country is around $10,000 — $15,000 which makes them earn $120,000 and $180,000 during whole year. PR-Manager can get $45,000-$120,000 annually working in Switzerland while the Blockchain analyst earns around $50,000 — $150,000. According to Glassdoor data, the salaries on Asian market are not that high, but the market is developing dynamically here and the number of large crypto exchanges rises. Heads of Department blockchain development in Japan and South Korea can obtain up to $7,000-$10,000 monthly, approximately $100-$120,000 per year. PR-managers, in turn, earn an average of $3,500 per month– from $30,000 to $55,000 per year. Frontend developers have an income in range from $3,000 to $5,000 per month, the annual income of an experienced programmer usually is around $60,000. In Ukraine wages are somewhat lower, Frontend and Backend developers earn about $3,000 — $5,000 per month, which makes about $36,000-$60,000 per year. Technical Director earns an average of $6,000-$10,000 monthly and $72,000-$120,000 per year, respectively. PR Manager earns from $1,000 to $2,000 per month and $12,000 to $24,000 annually. Email marketing specialist income ranges from $1,500 to $2,000 per month, $18,000 -24,000 per year. Head of development earns about $3,000 — $6,000 per month and $36,000 and $72,000 per year, respectively. So, it looks very attractive to establish technology partnership with Blockchain development and consulting companies like Intellica in order to save your costs and get the best ratio of quality and delivery time. It is important to ensure the presence of advisors from technical areas and other experts — sometimes their opinion may slightly influence the further direction of the project development. This cost is considered the most voluminous and can absorb up to 50–60% of total funding. Tokens. For the start, you will need to create a tradable token that your investors will use to fund your project. Most exchanges require that you have an ERC20 compliant token that will allow the transfer of tokens from one address to another. Here, you will have to hire an ERC20 token developer. Although finding a good Ethereum developer is hard — you can hire an experienced freelance developer to work with for approximately $10,000 per month/project in the U.S or EU area. This cost will consume around $5,000-$10,000 of budget in Ukraine. The platform for smart contracts execution is required to deliver tokens to investors in exchange for Ethereum. This part of work will require the presence of developer or a group of them to create a decent Smart Crowd Sale Contract, the process can take up to 3–4 weeks and cost you on average $15,000-$20,000. Blockchain software development companies like Intellica will help you to estimate and develop your MVP, as well as work with you from your idea up to ready product. To guarantee your investors complete security of their investments, you will need to perform an audit of your smart contracts. Frankly, the significance of this stage cannot be overstated as you will expose any vulnerability in the code. The cost of this service done by a reputable company ranges from $10,000 to $50,000 depending on country and the company reputation. This figure is constantly increasing due to the growing number of ICOs on the market. During this stage your team will need to work hard to complete all parts of project’s “face” — that means creating a functional and transparent website, SEO-optimization, useful promo materials and engagement in media field. This is an important and responsible step. You must choose a reliable hosting and web site structure (now popular and user-friendly one-pagers come into consideration) to have functional design and be user-friendly, as well as protected from possible DDoS attacks. Your website must list certain promo materials including the video about the project, transparent and easy-to-understand White-paper, Roadmap with clear milestones, the project team with photos and links to their social networks and LinkedIn, a list of partners and advisers involved contacts and active social network channels. Search Engine Optimization (SEO) also has the significant importance to improve positions in Google search system and, simply put, allow investors faster access to your project. The main document that serves as a presentation of the project to potential investors, explaining the vision, objectives, implementation and milestones in the project development. It is important to visualize your concept vision to potential investors. Infographics should illustrate the main financial indicators that the company plans to achieve in the first place. Also, any indicators of market research are better perceived in this format. But do not forget about the information value — you can write even 100-page text document, but investors will not find it simply not interesting to read and hard to understand. This document must have a transparent structure, support the statements with facts, clearly explain the concepts and potential benefits from participation in your project. Not all the teams are able to write this document themselves; therefore, often professional help may be required. Of course it is possible not to spend money on this stage at all by making it by yourself. The cost of creating a Whitepaper with third parties companies involvement may reach $20,000 , and this number is growing. The team should promote the project in traditional media and social media advertising, write articles and news about the project, make publications on key web resources. Some of them may be free; others will require part in the premium services (for example, only the Cointelegraph listing will cost up to $7,000-$10,000). The total cost of marketing and promotion can be slightly different — you can spend $5,000- $10,000 or even more than $100,000, depending on how much your company is able to invest in the project. This will include interviews with the founders and member, advisors, promotion through social media channels and forums. Many teams are willing to pay huge money to specialized advertising companies for the traffic in order to achieve contact with the target audience of the project. Marketing costs typically eat up to 30% — 50% of total budget depending on the project complexity, time limit and orientation. This step includes ensuring web security measures made to prevent project data and financial information leak and making hack risks as low as possible. During the ICO a lot of investors make huge financial donations to the project; this cannot go unnoticed by the fraudsters and government agencies. ICO regulations in most countries have not been developed properly on the legal stage yet, so the wise decision would be ensuring the assistance of lawyers in order to resolve contentious issues before they actually occur. Unregulated ICOs always stand at risk of being disavowed from legal inclusions. But just to be on the safe side, legal experts on the advisory board would always be a plus. The cost of legal support varies depending on the level of experts involved — usually the price ranges from $10,000-$50,000. Considering the magnitude of the ICO market and the growing number of specialized conferences with industry professionals throughout the world, many new and experienced developer teams often make journeys to other cities, countries and even continents with an aim of establishing business and professional contacts. The cost of participation in such events depends on a place, speakers level and prospective partners/investors. On average, the team may need $10,000-$20,000 during the project. Logistics costs can also assume the purchase or transportation of special equipment as needed. Summing up the figures of key position salaries for 5–6 months of project duration, approximately $150,000 — $400,000 will be spent on the creation and ensuring smooth workflow of a team (depending on qualifications) in highly developed first world countries like USA, UK, Switzerland, etc. In Asia this number would be approximately $100,000-$250,000. Ukraine and Slovakia cost of team hiring is nearly $60,000 — $120,000 respectively. Moreover, software and tokens development, smart contracts, an audit performed by professional company with good reputation will cost your company up to $20,000-$50,000. Functional website creation and complete proper SEO optimization, the Whitepaper written by professional company cost up to $15,000 mostly. Promotion in media varies greatly — on average, $20,000-$50,000 for active work on promotion of your platform in the US, EU, Asian region or CIS countries. Legal support of the project cost in the United States — $20,000 to $50,000 for the entire project timeline, $20,000-$50,000 in Asian countries and $10,000-$30,000 Ukraine countries. Nearly 50–60% of a total budget will be spent on the salaries of the team and the project advisers as well as the technical development, media promotion also provided a significant amount of the budget to 20–30%, 15–20% — for legal support of the project. It is possible to separately allocate 5% of this amount for logistics and worldwide conferences participation expenses. Summarizing these data, we get the needed budget of $300,000 to $700,000 needed to launch the ICO in the United States. In Asia market this number is estimated at $180,000 — $400,000, and in Ukraine, respectively, $120,000 to $250,000. So, you can use the specialized services of Intellica to conduct your ICO and sleep well.